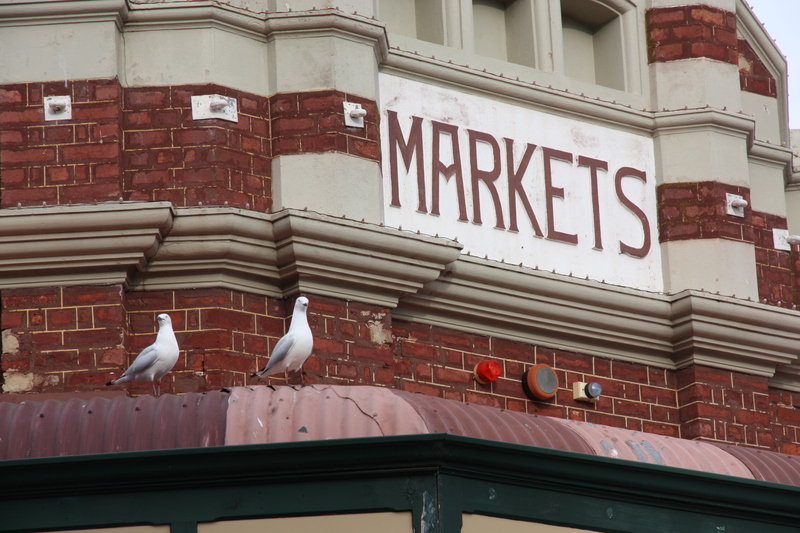 Don’t miss the Fremantle Markets | Where to next? If you ever visit Fremantle, a mere 30 minutes south of Perth by car, you’d better go on a Friday, Saturday or Sunday. These are the days the iconic Fremantle Markets are open, and they are very much worth seeing. In fact, we’re lucky this Western Australian institution has survived. Built in 1897, it served as a wholesale food and produce market until the 1950s, when Perth Markets took it over. The original verandahs were demolished then, and the former main market areas were used as a packing and distribution centre for the next 20 years. After standing vacant for a few years, the buildings were restored in 1975 by the Fremantle City Council with money from the National Estate grants program. A makeshift area known as Farmer’s Lane was established then to house temporary fruit and vegetable markets. This was damaged by fire in 1992. That prompted the building of a new food area, The Yard, which open in 1993. That same year the entire marketplace was added to the Register of Heritage Places. Today there are more than 150 specialty shops. Craftspeople, fashion designers and other merchants trade in the historic main hall, while fresh food producers, vegetable growers and food retailers are situated in The Yard. I loved it all and found it hard to resist buying up big. That said, I spent most of my time in the food areas. 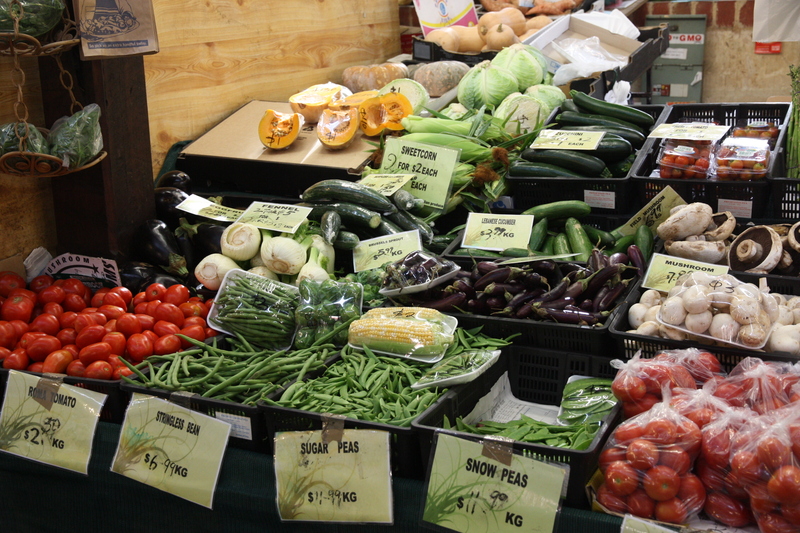 Prices were reasonable, quality was excellent and the variety was impressive. But there was another treat outside. 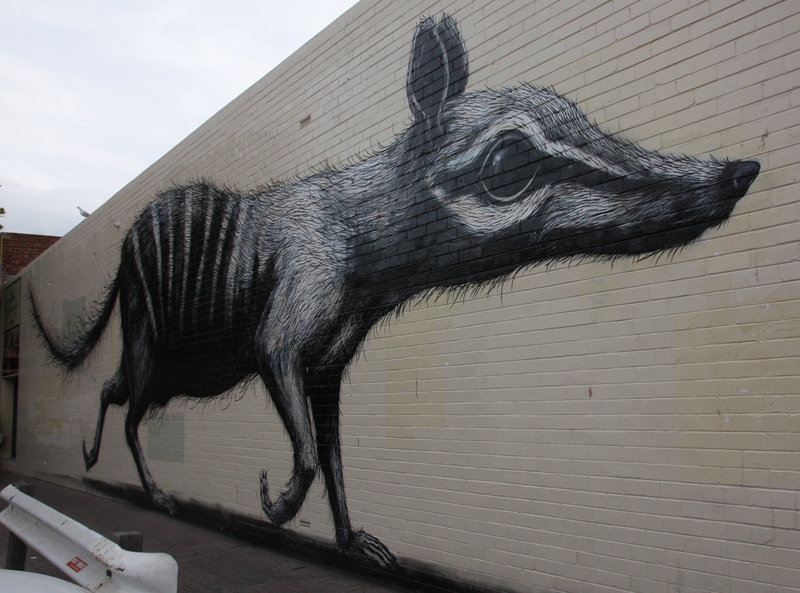 The notorious Belgian graffiti and street artist, Roa, was in Perth recently for an exhibition of his work at the Form Gallery. Roa, who is from Ghent, usually works with a spray can. He travels widely and his ‘trademark’ is to paint an animal on a building in a city he visits. Apparently, he visited Perth not long before we were there and this time he left a giant numbat (an endangered Australian native) on a wall opposite a side entrance to The Yard. From now on, I’m going to cross my fingers and hope that I manage to see a numbat in the wild. Don’t like my chances but will keep you posted. Goodness Peggy! You did really well to not buy up big. I now have to go and find out what a numbat is, where it is usually found—probably in the bush—and how close it is to extinction. Thank you as always for such an interesting post and great photos.